These are the lipo's we would highly recommend you fly with when using your BetaFPV 65x - We advise not to use the 2x1s configuration. 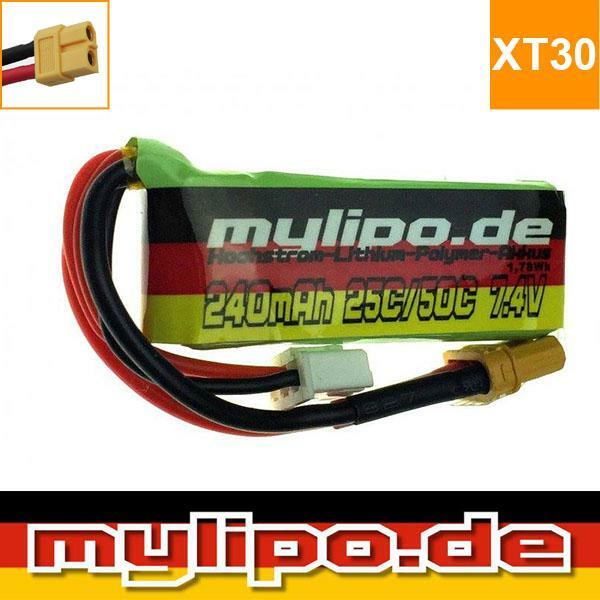 We will be getting the MyLipo 2s 333mAh 7.4V soon which will give you more flight time - the 240mAh is lighter and we advise this to be used when racing for the extra speed. After numerous tests we found the 1s lipos simply couldn't handle the power draw that these 2s brushless tiny whoops require. Yes you will be able to fly with them but not for long and your batteries will always come down too hot. You risk damaging the 1s lipo's with the 2s whoops. We've had these Lipo's imported specifically for the BetaFPV 65x 2s Tiny Whoop. Note: You must cut the tab in the battery tray of the 65x frame in order for this lipo to fit in the frame.